Android, Penguin and Life: Android apps on Chrome OS, is it worth it? I have been thinking about this for a couple days. 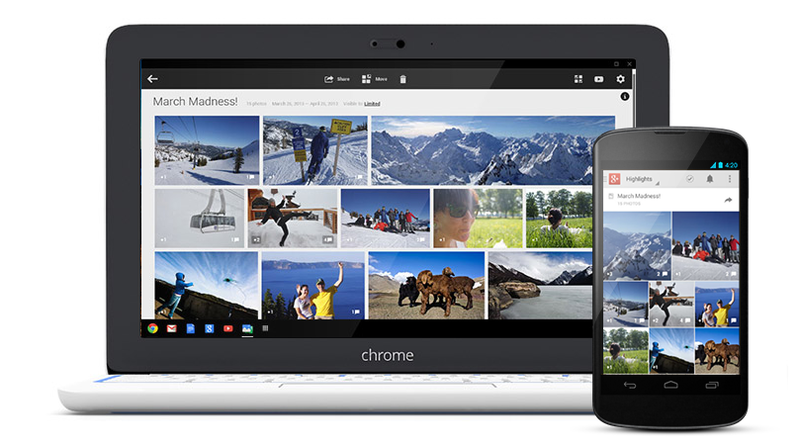 I suspect I'll get some backlash for saying this, but I am not sure we need Android apps on Chrome OS. Now hold on, before you start throwing things at me, please hear me out. When I first saw this article I barely read it, and immediately hit the link to go submit my favorite apps to get ported over. I dove into My Apps in the Play Store so I could grab the links and this is when it hit me, I had no apps installed worth submitting! Don't get me wrong, there are lots of apps I'd love to see on a larger screen, almost every game on my tablet would benefit from a larger screen, but I realized that Chrome OS was not the right larger screen. Tasker - Oh how I adore Tasker, it is such an amazing tool to control my Android devices. Which means it would be absolutely useless installed on Chrome OS. I mean, the idea is amazing, but Tasker is designed for Android, it would perform precisely 0 tasks on Chrome OS. Zooper Widget - I wouldn't have a Homescreen without Zooper Widget. But wait, I can't put an Android widget on Chrome OS, so that's out too. ES File Explorer - My go to file manager for local, network and cloud file storage, plus basic apk backups. That's a lot of great stuff, but wait, doesn't Chrome OS already do this? Pretty much, yes. Do I need another file explorer on Chrome OS? Doesn't hurt, but no, I don't actually need it. Let me speak to both of the file managers a moment. I really like having control of and access to network shares, but I have very little experience dealing with them on Chrome OS - it is made for cloud storage, afterall. However, just like Tasker, I would imagine that ES and WiFi File Transfer would not work on Chrome OS without being re-coded for the changes, thus, these apps are not worth installing on Chrome OS. Helium - You may have known this app as Carbon Backup. This is an Android app and app data backup tool. Once again, backups are very important, but this app would totally not work on Chrome OS without a serious coding overhaul. Doesn't work, don't need it. That was my five apps. I want their functionality on Chrome OS, but those apps specifically would just not work. Think about the games that you play on Android, now, honestly, would they be any good on Chrome OS? Does your game require tilting the device? Chrome OS doesn't play that way. Does your game have on-screen joystick controls in the bottom corners? Chrome OS has a big keyboard down there. You can do it, but it won't be comfortable. Does your game require touch actions? Not all Chrome OS units have touchscreens, so you'd have to use the touchpad or a mouse. I'll let you decide how well that would work. Do you see where I am going with this? I want the overall functionality available in Android on my Chrome OS device, but I don't think Android apps can provide it. Bottom line, if an app also has a web interface or Chrome extension, you don't need to port it. If an app provides a specific function to Android, Chrome OS may already have a program to do that, or just is not able to do it anyway. Now, I hope I got you thinking, go ahead and prove me wrong: which apps do you want, and which apps do you need, to see on Chrome OS?